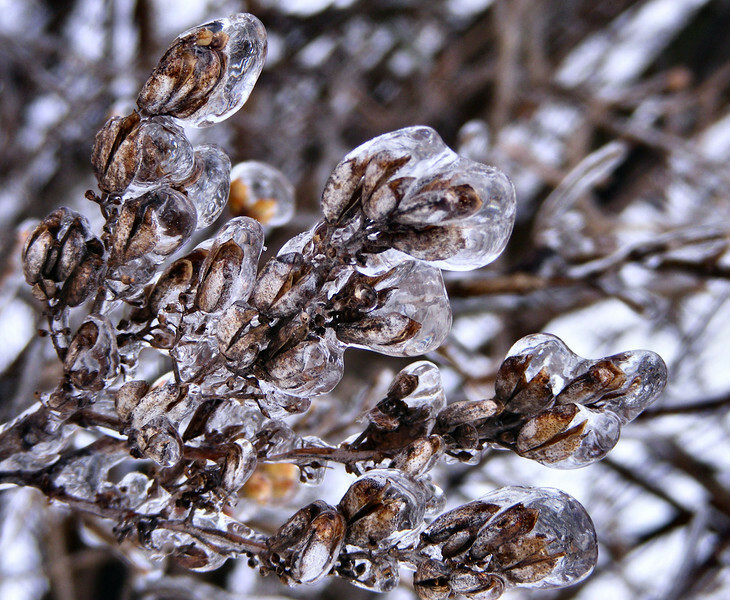 Lilac seeds incased in ice. The ice is not as thick as last year but it does cover everything. Tthe goats would not even go out onto the cement out from the barn. One little one did and fell down. I put some ashes and sawdust on the ice and got most of it chipped off.